Paying a Mortgage vs Paying Rent: Which is Better? Should You Lease or Buy a Home? People generally have two options when it comes to where they live and ultimately call home. One is to rent a home that someone else owns and the other is to purchase a home to own themselves. While home ownership is said to be "the American Dream" that isn't always the case, or the right option for everyone. There is no correct or incorrect choice when it comes to the decision of whether to rent or own a home. Because buying a home is an enormous investment for most people, it is important that people do not rush into a hasty decision. Instead, they will want to make a well thought out decision based on their personal circumstances. 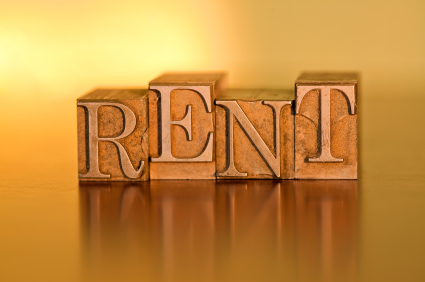 There are numerous factors that can affect a person's decision to rent rather than buy a home. The most influential factor is usually financial. Often people rent when they cannot afford a down payment for home, have poor credit, excessive debt, or are in the process of building their credit. When a person rents he/she is not responsible for repairs to the home or yard upkeep. However, when a person owns a home it is his/her responsibility to maintain the house and pay for any necessary repairs. For some people, the expense of maintenance is a deterrent. People who are not settled on a location or who plan to relocate within a few years will also likely choose to rent rather than buy a home. This will save them the hassles of selling their home and potentially losing money from having two monthly real estate payments at the same time while they relocate. When making the decision to rent it is important to also consider some of the negative aspects that are associated with it. When renting a person can expect to give up a certain amount of privacy. Although the landlord or owner of the home should not enter without giving notice, it is another person that will have the keys to enter the home. Depending on whether a person is renting a house, a condo or an apartment they may have to listen to the sounds of their neighbors and risk their neighbors hearing them. Also, when renting a person gives up a certain amount of freedom to do what they want to their environment, such as painting or renovating, and having a pet without express permission. People who decide to buy a home often do so because they are ready to settle down in one location and are ready to make a financial investment. When a person has the money to buy a home it may also be less expensive over time than renting. Some people may feel that renting is a waste of money because they are not building equity or making an investment. People also choose to buy a home for the privacy and freedom. Homeowners are able to do what they want on their property without worrying about restrictions. Owning a home generally also means that there is more room to live as opposed to renting an apartment. Homes typically have yards and garage space. When buying a home a person may also have the type of pet that they prefer without worrying about restrictions, additional deposits, or rental fees. An additional reason to buy a home is the tax deductions. Mortgage interest on up to $750,000 of mortgage debt is typically tax-deductible for both state and federal taxes. Interest on second mortgage debt of up to $100,000 is tax deductible provided it is obtained to build or substantially improve the homeowner's dwelling. Most importantly, people who choose to own a home do so for the sense of pride that comes from home ownership. There can also be challenges with home ownership. Changes in one's employment or financial circumstances can affect one's ability to make mortgage payments. When buying a house a person must also be prepared to maintain the property so that it does not drop in value. Even with proper maintenance a home's value may drop for a number of reason. Selecting the wrong neighborhood can also have a negative impact when buying a home. Failure to make a realistic budget before buying a home can cause stress especially when something unexpected happens.